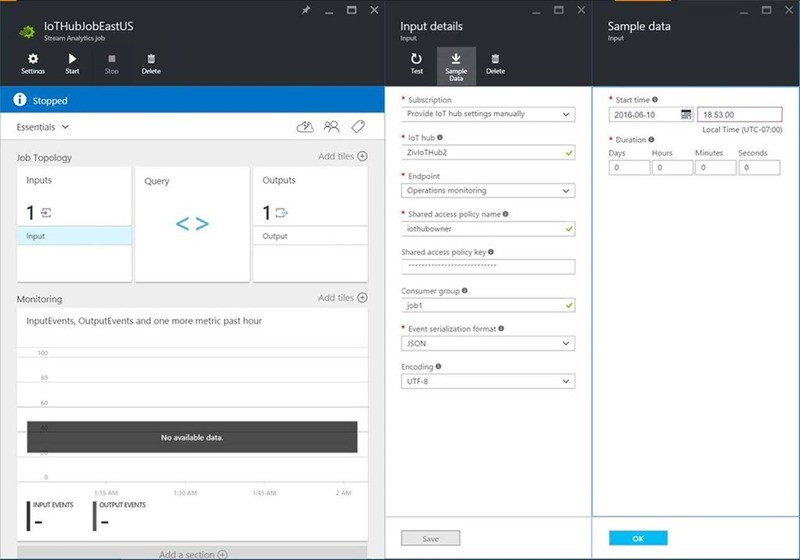 The Azure Stream Analytics team is happy to announce that we just released three updates to the Azure portal (https://portal.azure.com/). 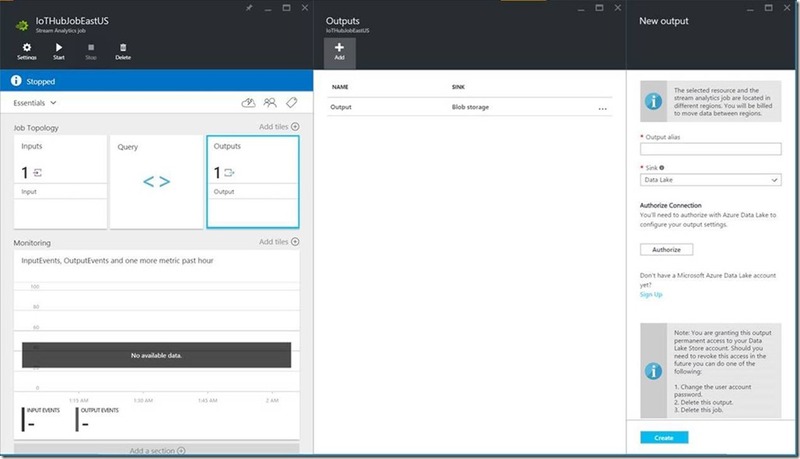 Previously, if you wanted to use Power BI as an output for your Stream Analytics job, you needed to go to the Azure classic portal and configure the output there. With this update, you no longer need to switch context. Similarly, you no longer need to switch to the classic portal to set up an output for Azure Data Lake. Finally, this update also provides you the ability to capture sample data from an input source. By using this feature, you can connect to an input, such as an IoT hub. By using the configuration options provided, you can select the range of data from the input source to sample. That’s it, for now. We’re excited about these updates because we’re closing the parity gap between the classic and current portals. Soon, you won’t need to use the classic portal. 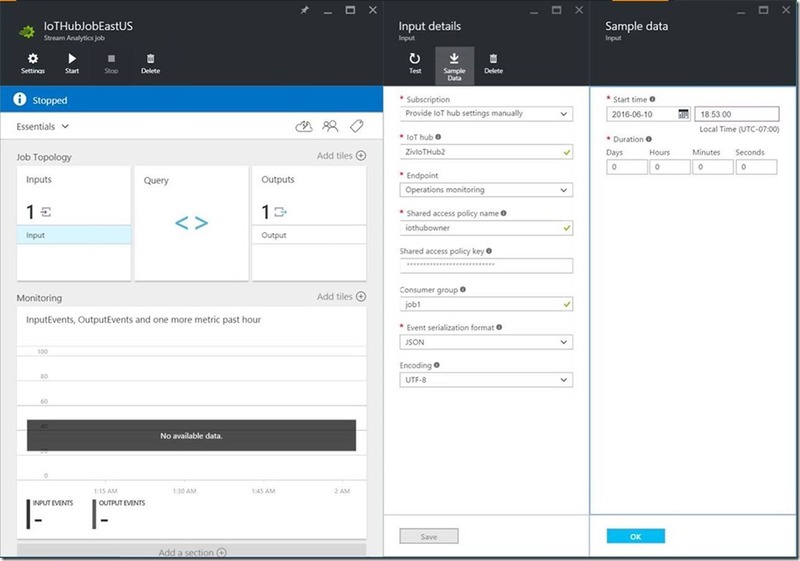 ​If you want to know more about Azure Stream Analytics, check out our service page or head over to documentation. You can also follow us on Twitter at @AzureStreaming to stay up-to-date with the latest news about the service, or stream processing in general.